Looking For a Low EMF Infrared Sauna? Make Sure You Look For Testing! If you’re looking for a low EMF infrared sauna, you're more informed than most people. Clearly you understand the importance of maximizing the health benefits of your sauna by reducing exposure to potentially dangerous EMF’s. Unfortunately, finding a sauna that actually lives up to these standards may be more complicated than you think, since many manufacturers’ claims don’t stand up under scrutiny. For this reason, you’ll want to be sure than any sauna you buy comes with certification from an independent testing facility to back up low EMF claims. What is EMF and Why is it Bad? In order to fully understand the importance of EMF’s when choosing a sauna, let’s start at the beginning. What exactly is EMF and why is it so important? EMF, or electromagnetic fields, are areas of radiation produced by electricity. These EMFs help to move electrical current through a conduit such as a wire and they are generated by all electrical appliances, large and small. Cell phones, radios, TVs, microwaves...they all emit EMFs of varying degrees. Since electronic devices are such an integral part of our lives it is almost impossible to avoid EMF entirely. Fortunately, in most cases our exposure to these fields is relatively limited, ending when we shut off the electrical device we’re using. But in the case of an infrared sauna, that exposure is more extended. In order to get the maximum health benefit from a sauna, most users will need to spend at least 30-40 minutes in the sauna several times a week. With this amount of time, you can begin to see why a low EMF infrared sauna is an absolute necessity. Infrared saunas can provide a number of health benefits including helping you to lose weight, reduce stress, ease chronic pain and detox your body. As you spend time in the sauna in hopes of reaping these benefits, however, you are also exposing your body to EMF. There has been much debate over the exact hazards of this exposure, but there have been studies linking it to a range of issues from headaches, fatigue and dizziness to birth defects, diseases such as ALS and even some forms of cancer. So now we know that EMF can be dangerous, but just how much is too much? 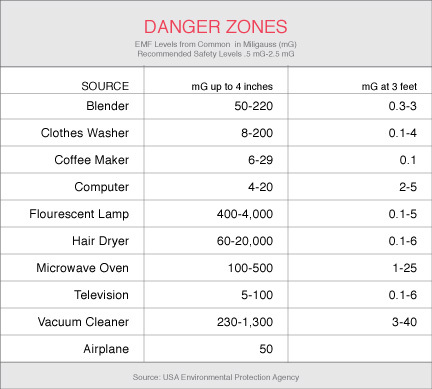 EMF is measured in milligauss (mG) and the Environmental Protection Agency has set a generally accepted safety level of no more than 3 mG for an infrared sauna. A low EMF infrared sauna should keep to that standard as well as limiting exposure to ELF, or extremely low frequency radiation. When it comes to ELF, anything above 1,000 millivolts (mV) is considered unsafe. How Do I Find a Low EMF Sauna? In order to ensure that you are getting the safest possible sauna, you need to pay particular interest to the safety rating of any model that you are considering. This means not only checking the EMF and ELF levels but also looking carefully at the heat source, as some are deemed safer than others. In general, carbon heaters tend to give off more EMF than ceramic infrared heaters, but as noted above if you are truly safety conscious you just can’t afford to accept manufacturers’ claims without question. 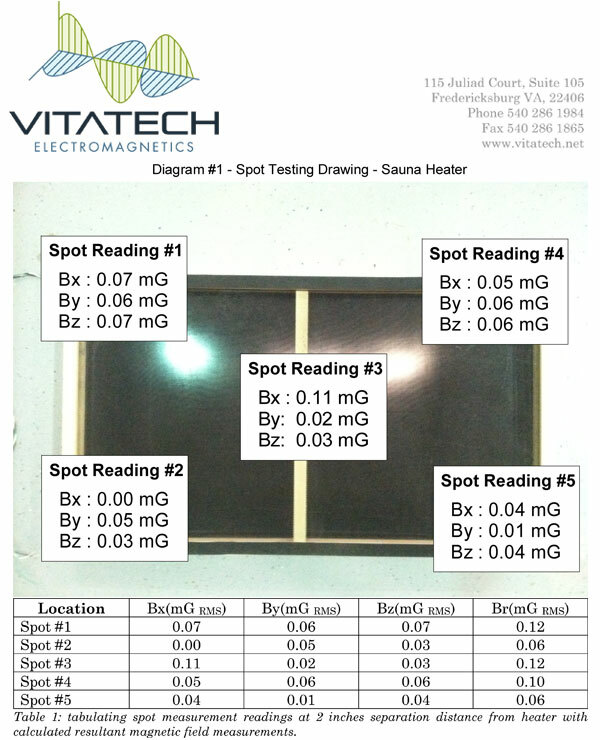 Any manufacturer can claim to have a low EMF infrared sauna, but the only way you can be certain that a sauna meets acceptable safety levels is to find out whether it has been tested by any of several independent testing companies such as Vitatech Electromagnetics, a leader in the industry.. 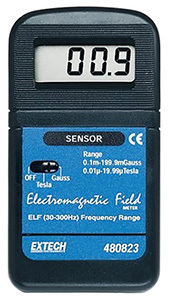 These are professional testers who can put any electronic device under close scrutiny to determine the exact level of EMF and ELF it produces and whether or not it falls within a safe range. It may surprise you to find out that most saunas, even those claiming to be low EMF, are actually as much as twenty times above the legal safety limit. This is especially true with many of the cheap saunas made in China. If you want to ensure that you are getting a guaranteed safe infrared sauna with the lowest possible EMF and ELF levels, simply look on the company's website for independent testing results. It shouldn't be too hard to find. If a company has undergone this testing, they will proudly feature it on their site. If not, it simply won't be there. You can certainly call or email and ask if they are low EMF saunas, and if so, if they can provide documentation proving this. If not, then you should be looking somewhere else. Can You Recommend a Low EMF Sauna? One of our top recommended sauna companies, Clearlight/Jacuzzi, produces some of the lowest EMF saunas on the market today. It's one of the reasons why they are at the top of the list, along with using the highest quality woods and heaters and providing excellemt customer service. Clearlight saunas regularly score among the best results in EMF and ELF testing, with numbers about four times below the average level of concern. This means you can rely on a Clearlight/Jacuzzi infrared sauna to provide maximum benefits and limit your EMF and ELF exposure. The company produces a true low EMF infrared sauna by using a safe heating source and shielded metal conduit wiring. In fact, Clearlight is one of the few companies that run their electric wiring through a metal conduit to help reduce EMF and ELF. They also add an extra level of safety by twisting the wire to reduce levels even further. The result is one of the safest saunas on the market today. Another option for an extremely low EMF sauna is Sunlighten, which also has had their saunas tested by an independent company. So you can take a look at their offerings as well. If you’re considering an infrared sauna you’ll want to make sure that you are getting one that limits your exposure to potentially harmful EMF and ELF. That means doing your homework and getting a sauna that has been professionally tested and proven to meet mandated safety standards. And remember, just because a company tells you that their saunas are low EMF, doesn't mean they are. EMF levels need to be tested, and only then can you be sure that the saunas are as safe as they can be.